My Baby’s Favorite Food – Round up! Find more baby food recipes on my Baby Food Site. Baby Food has always been a confusing subject. Specially since our traditional food is at times so different from what is medically recommended. Moreover, each baby is different and none of them are able to talk about what they really want. That’s what makes this topic a challenging one. Mothers have to just observe their babies while they eat and figure out a way to make nutritious food which is also eaten eventually. When I announced the event My Baby’s Favourite Food I wanted to know from moms what their kids liked as babies. I am really happy to have received these recipes from blogger friends. I want to thank you all for taking out your time and sharing your recipes with us. I am sure they will provide ideas to moms of li’l babies who might be having a hard time feeding food. 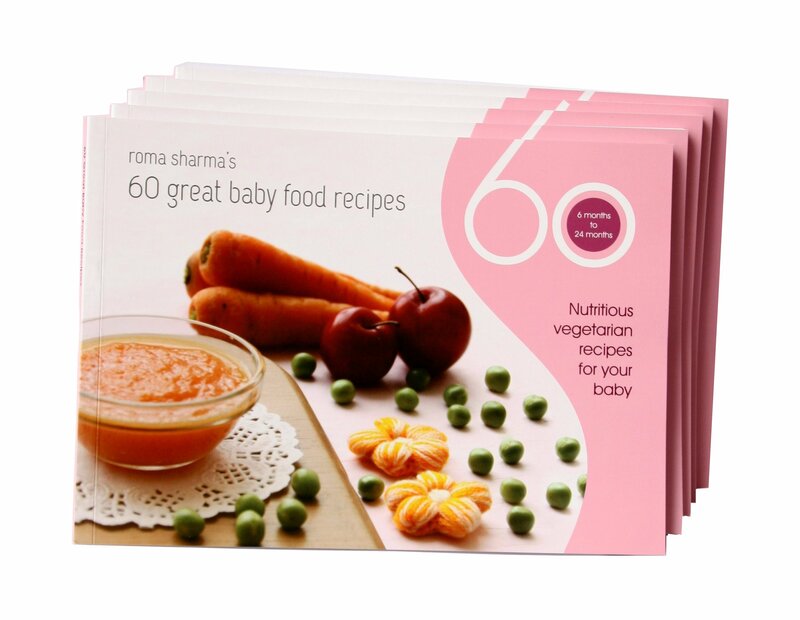 Now for the giveaway, my eBook 60 Great Recipes for your baby, which was announced for 3 lucky winners. Well, it turns out I could not choose 3 people as all the recipes were so good. I will hence be giving a copy of my book to all the participants. You will soon receive a mail with a link to the eBook which is currently being sold on amazon. Hope its useful to you and other moms in your circle. This is a one pot meal for babies and toddlers and can be prepared as per their likes and dislikes. This is also a very nutritious rice with all veggies, rice and dhal in one pot. Kids, they ask for variety. So this is the dish which will make them happy and also make us satisfied. It will also look colorful. My kids generally love dosa, adding cheese to the regular dosa’s makes them to eat faster and quicker . This is their all time favorite foodright from age 1 . This is a healthy and a quick snack for my kids which i make quite often. My little toddler loves to eat this particular Macaroni dish. She is very picky with her food I try my level best to convince her to indulge somefood. As she is learning ABCD I picked up this alphabetical macaroni from the store and introduced it to her and the end results were amazing she loved it and wanted to eat more. I have added some veggies and chicken to it. Vegetarians can minus the chicken. 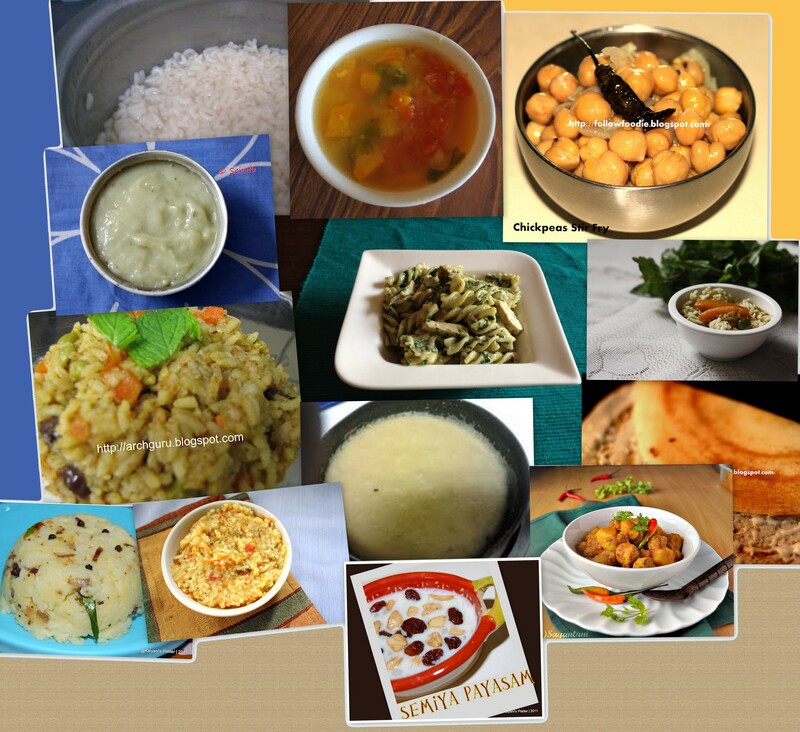 Pongal | Ven Pongal is a rice dish which is made in south india which is prepared with rice and moong dal. Usually this dish can be prepared for breakfast or evening dinners. My elder daughter’s favorite dish in the evenings when she was a baby (almost from 1 year she started liking it). I used to make this dish with less pepper and green chilies and more ghee especially for my daughter. Wholesome Homemade Baby Food made with rice, lentils with vegetables pureed. Dal and rice pressured cooked with cumin powder and carrot, this can be given from 8th month to your babies. Soy chunks cooked in a onion-tomato gravy with potatoes. Vermicelli Kheer/ Semiya Payasam is yummy, healthy and also delicious payasam which is especially prepared during festivals. Payasam is simple to make and it usually decreases heat in our body when we have fevers and colds (especially good for children). This payasam is my daughter’s favorite sweet from her childhood. Also my favorite when i was in my childhood. My baby doesn’t eat rice very easily. She either wants to have it with dal or just plain. I found pudina rice as a nutritive alternative as it contains a chutney-like paste in which the rice is simmered. I am happy that the baby likes it too. Wonderful roundup with lovely dishes roma … Thank u very much for sharing the book .. This a wonderful list of dishes. Was great to participate here. Looking forward to more events. Thank you so much for sharing the book too. Looking forward to read the book. Thanks for sharing the book . Happy to participate in ur event . Well looking forward to more events! Dear All, I am so happy to be giving you all my book. Hope you received my mail. Thank you all for participating! Thanks Roma for listing my post. Just one request I am not able to download Kinly here in Kuwait so please if you can emai me the ebook or any other way to download it. I am so sorry about that. Can I try to help you with the kindle download problem you are facing? I really enjoyed your blog. i have a nephew who’s 7 mnths old. i’d like to share his video with you. this is the link http://www.youtube.com/watch?v=5jQfNw8TBQo. he’s really cute. i wish you and your baby good luck. take care. like to hear from you more. hi, kmj. I enjoyed watching the video. Your nephew is so cute. Nice chuckle captured on camera. Thanks for sharing it with us. Roma – a lot of the recipes in your book focus on Ragi…where can we find it here in USA? Is there another substitute for it? Also, what are your thoughts on using Quinoa in recipes? You can find ragi or ‘finger millet’ at an Indian Supermarket. I found ragi flour online on amazon . I think you could also get it in the ‘whole grains section’ of the regular supermarkets you visit. Try to buy the organic variety. Quinoa is a protein-rich seed that is great for health. It can be cooked like rice and fed to babies above the age of 8 months. You can find some Quinoa recipes here. At the regular grocery store I do see whole grain millet flour. Is that different from finger millet? Millet comes in many varieties so it’s not advisable to use millet flour for babies. Millet flour is typically used in baking products to make them gluten-free. Please look specifically for ‘finger millet’. Sprout and use them for best results.